So, what is on your plate today? For the fun-loving Parsi community, one of the most integral elements of a good life is a grand, tasty meal. Think Parsi food and there are some trademark dishes that are bound to instantly pop up in your head. Be it the Dhansak or the Patra ni Macchi or the Sali Boti or Marghi or the Mutton Palav and then of course there’s the Lagan nu custard, Parsi cuisine is famous for all this and much more lip-smacking fare. In fact, if there is one thing Parsis swear by, it’s a good scrumptious meal. Yes, no Parsi function is complete without good food, a couple of drinks and some foot-tapping music to dance to. Famed Parsi caterer Tanaz Godiwala describes her community, Parsis, or Bawas as they are affectionately called, as a community that’s all about food, food and more food. "The best part of our cuisine is that we eat king-sized. For us food is all about grandeur and comfort," she says. Meats are an essential part of this cuisine and most Parsis are fond of all types of meat and sea food. Apart from the meat, eggs aka eeda form an integral part of Parsi cuisine. They consume a lot of eggs and in every way possible. "We can eat eggs for every meal â€” breakfast, lunch and dinner," Tanaz says. Shimak Davar, choreographer: Mutton Dhansak, Prawn Patia and Sas ni Macchi (fish in white sauce). Another of my all time favourite is the Lagan nu achar. These are my absolute favourites. In fact, I fantasise about the Berry Palav all day, everyday. The best thing about Parsi food is for that brief 15 minutes after you’ve eaten it, you feel nothing absolutely can go wrong. You just have to lie down. Even if you’re in the middle of a fight, you’ll have to temporarily pause it and then get back to it. Our cuisine may be a bit on the heavier side, but it is simply lip smacking. That’s what I love the most about it. The best part about our cuisine is the amount of character in each dish. In fact, each and every Parsi dish has a definite sense of flavour and that’s what characterises it so beautifully. The best part about our cuisine is that it’s primarily non-vegetarian, an absolute treat. Also, unlike the other cuisines you get in the country, Parsi cuisine has a very exotic flavour to it. Since Parsi food is not so easily available, it’s quite a bit of mystery, especially to non-Parsis. The eeda is another good part of our food. In fact, we Parsis can break an egg over anything an eat it. It is a unique cuisine that is served by equally unique people. Parsi food and Parsi company is always fun and laughter. It’s all integrated and that enhances the flavour. In our cuisine, there’s a lot to play around it, be it the ingredients (meats, vegetables, lentils) or the variety of spices or even the variations in preparation. 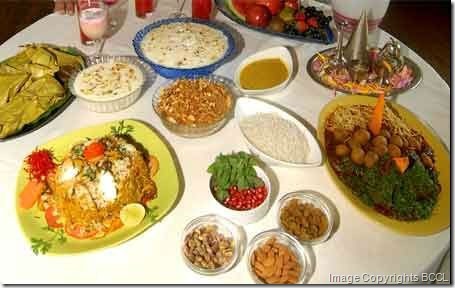 Parsi food is very flavourful. Dhansak: Usually made with mutton, a Dhansak consists of lentils, vegetables, spices, cumin seeds, ginger, and garlic together with the meat of choice and either gourd or pumpkin. It can also be made sans the meat for those die-hard vegetarians. Patra ni Macchi: Literally translated into ‘fish wrapped in a leaf’, this is a traditional Parsi dish that has fish fillets wrapped in a spicy marinade made with ground coconut, fresh mint, coriander leaves, fresh green chillies and lemon juice. It’s succulent and moist with the juices of the fish intact and just bursting with all the flavours of the sea. The banana leaf lends this dish a subtle smoky flavour. Sali Boti/Marghi: Is a dish made with boneless mutton (boti) or chicken (margi) cooked in an onion and tomato gravy with apricots and topped with crispy potato strips. Mutton Palav: The addition of tender cooked mutton to this regular rice dish makes it a very interesting variant. Lagan nu custard: This dessert, the name of which translates to ‘wedding custard’ is a popular one in Parsi cuisine. And unlike the regular custard, this one is much thicker in consistency and this is because the milk is allowed to burn.